Forest Pack Pro by iToosoft - The world’s most popular scattering plugin. 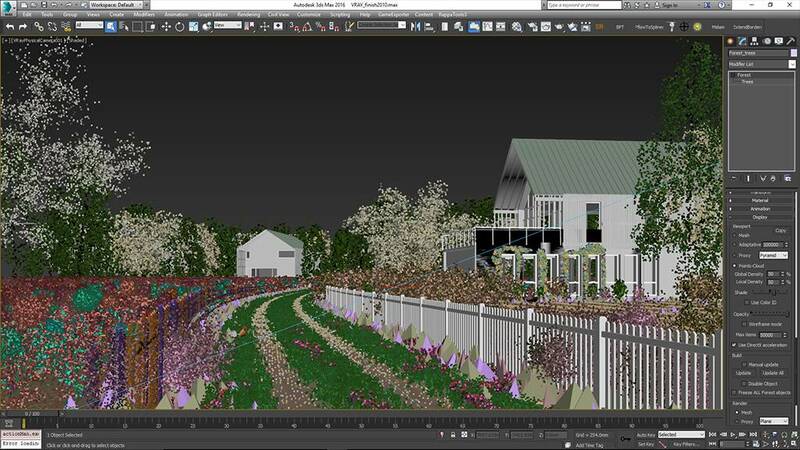 Forest Pack is the world’s most popular scattering plugin for 3ds Max®. 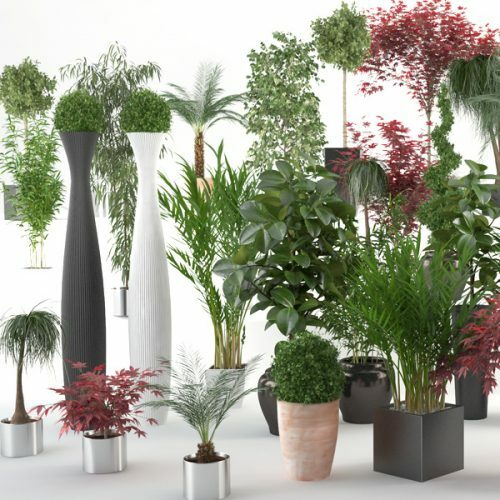 It provides a complete solution for creating vast areas of objects, from trees and plants to buildings, crowds, aggregates, ground-cover, rocks and more. If you can model it, Forest Pack can scatter it. Countless studios rely on Forest Pack ’s production-tested algorithms and native shaders to render scenes with virtually unlimited numbers of objects and polygons, all without putting a strain on computer resources. 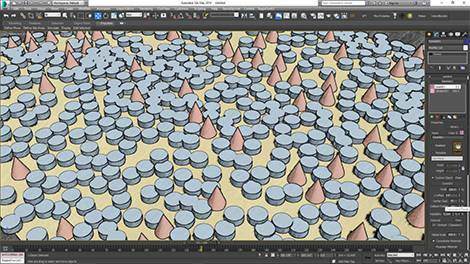 Simulate natural distribution patterns and get the most out of your assets using advanced mapping and randomisation tools, or fine-tune your scatters with granular control over every aspect of the plugin. Create scenes with virtually unlimited geometry. Renders with hundreds of thousands of objects each with millions of polygons are now possible thanks to Forest Pack’s advanced geometry shaders, compatible with most popular render engines. WYSIWYG scattering is possible with Forest Pack’s point’s-cloud display mode. Preview huge polygon counts while maintaining viewport responsiveness and avoid time spent rendering previews. Add almost any geometry and Forest Pack intelligently converts it to native render instances on the fly, so there’s no need to spend time creating proxies. If you prefer proxy objects, they’re fully supported too. If you’re able to output an object as a mesh, you can use it in Forest Pack. This includes parametric objects like GrowFX plants, VIZPARK Trees, RailClone styles, and even nested Forest Pack objects! Control the exact composition of a scatter using probability values. Percentages are automatically normalised so there’s no need for tricky maths. Scatter groups of objects and preserve their composition. 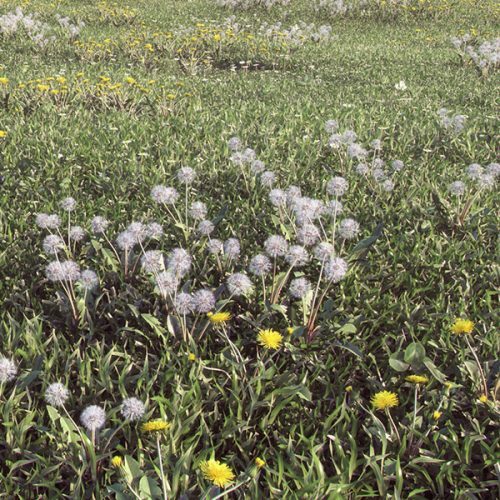 Useful for clumps of flowers and grass, the contents of a group are handled as individual objects so although their position relative to one-another is retained, they can still be individually randomised. Use include areas to add scattered objects and exclude areas to remove objects from an existing scatter. For more intuitive scattering, use Forest Pack’s advanced brush tools to paint areas on any surface using a mouse or tablet. Painted areas remain fully parametric with separate controls for distribution map, objects, and density. If you want to edit with standard spline tools, you can easily convert between paint and spline areas with the click of a button. Forest Pack uses black and white maps to create distribution patterns. A white pixel creates a tree, and a black pixel a gap. Over 20 default map types are included, but you can easily create your own for any type of design. Simulate the growth patterns found in nature with Forest Pack’s unique Cluster mode. 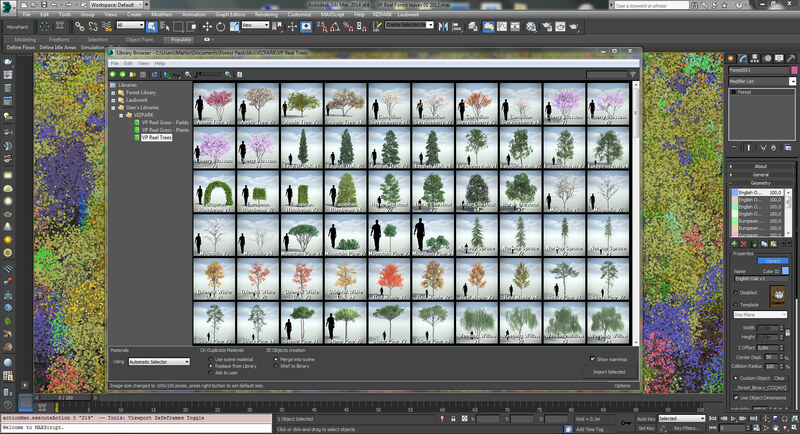 Group plants of the same type together with many controls for shape, noise, and edge blur. If the built-in patterns don’t include the design you need, you can use procedural maps or images to create any distribution you want. Create your own cluster patterns by matching plants to colour found in a bitmap. This is ideal for matching planting plans provided by Landscape Architects. Perfect Edges every time are easy with Forest Pack’s innovative Edge Mode. This feature can automatically remove elements from the scattered geometry to ensure that boundaries are crisp and clean. Control the size and density of objects around the perimeter of a scatter area using Falloff Curves. Used in combination with include and exclude areas, it’s easy to add or subtract items around the base of other objects, including other Forest Objects! Control scale and density using Altitude based falloff. 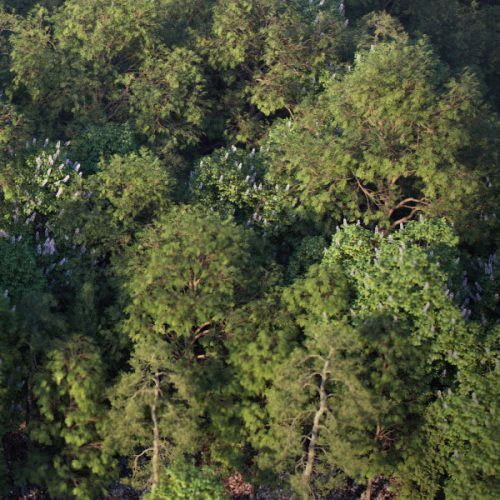 For example due to lack of oxygen, trees often get smaller and more sparse at higher altitudes. Control scale and density using Slope based falloff. Prevent trees growing on surfaces that are too steep to create naturalistic growth patterns on terrain. Forest Maps allows you to randomize the maps applied to scattered objects. You can choose to shuffle the maps by object or by element for maximum control and life-like variation. Sample the texture from a map applied to the surface area and use this to tint the overlying objects. For example, you could use aerial photography of fields to create natural colour variations in a grass scatter. Create a palette and tint colours using a texture swatch! Forest Colour can extract random values from a bitmap to allow you to easily match colours from photographs. Add even more variety by tinting maps. Colours are selected at random from a user definable gradient and applied using one of five transfer modes and a randomizable strength parameter. Use falloff curves to change the density and scale of a scatter based on distance from the camera! If you have multiple cameras in the scene, you can use their environment range to set a different value for each one. Switch the geometry and materials of scattered items based on their distance from the camera or their size in the render view to help speed up renders and manage RAM! Make the re-use of assets nearly impossible to detect by randomising their position, rotation and scale. Set a simple minimum and maximum value and Forest Pack takes care of the rest. Probability maps allow you to control the probability of a value being selected using a grayscale map. Scatter objects in black areas of the map will not be randomised, objects in white areas will receive a value selected from the full range. Control the play back of animated objects using maps. You have two options, either set the offset of the animation and let it play, or specify the current frame using a gray-scale map. Randomize the time offset of animated geometry to ensure that scattered objects are not played back identically! This is far more natural when using plants and trees with a wind animation or any other situation where you don’t want the animation of objects to play in perfect sync. Add a new scatter to your scene in an instant using Forest Pack’s Library Browser. You can store and load billboards, individual 3d objects or entire scatter presets in the library, all accessible with a couple of clicks! The Forest Pack library contains many predefined styles, ready to use. 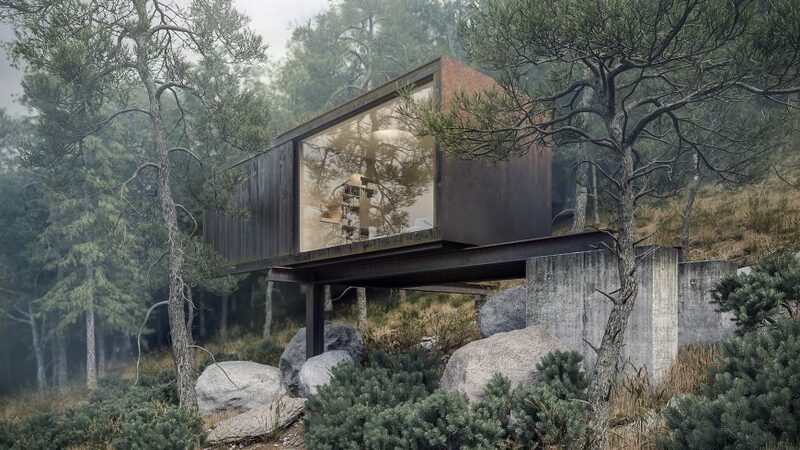 Forest Pack Pro includes over 150 models and presets, with materials for VRay, Mental Ray, Scanline, Octane, Corona and Thea Render. 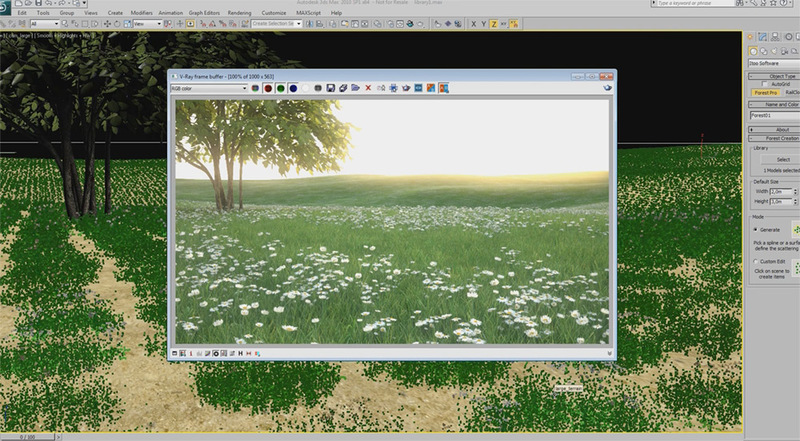 VIZPARK offers separate libraries of trees, flowers and grass to be used with Forest Pack Pro out of the box. Our plant products are created with ready-to-render materials for a range of renderers. The combination of Forest Pack Pro with our plants is perfect to get quick results in no time plus highest flexibility for scattering and vegetation. iToo Software, founded in 1999 in Spain, is a 3D software developing company, and creators of Forest Pack and Rail Clone, plugins for Autodesk® 3DS Max® and 3DS Max Design®. iToo Softwares main objective is customers satisfaction with their products, providing a high quality software and personalized support. Forest Pack pro is compatible with 3ds Max 2010 to 2017 32 and 64 bits.